Keg SpacersCan You Walk In Your Walk-In? Double the Floor Space in your Walk-In Cooler! 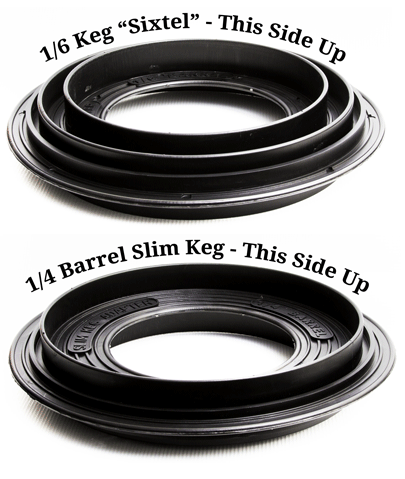 The Keg Spacer is a durable plastic disk that enables you to safely stack one keg on top of another keg while the design allows both kegs to be tapped at the same time. 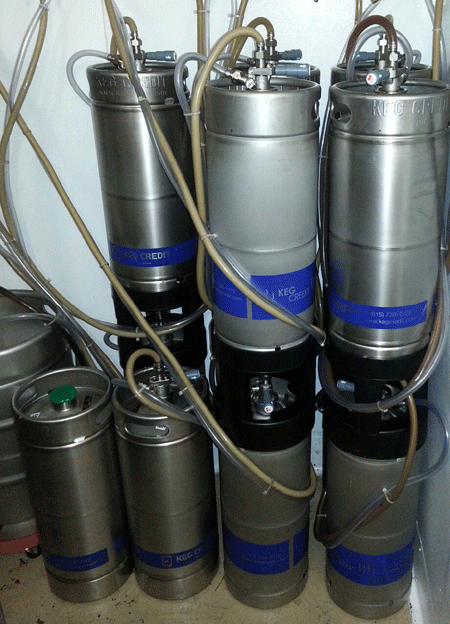 Keg Spacers are an inexpensive way to double the floor space in a cramped walk-in cooler! 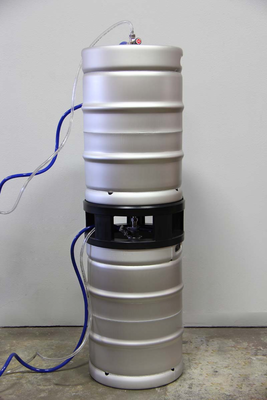 A beer keg can weigh as much as 156 pounds. Kegs that are improperly stored, moved or stacked can be extremely dangerous and can potentially cause serious injury. 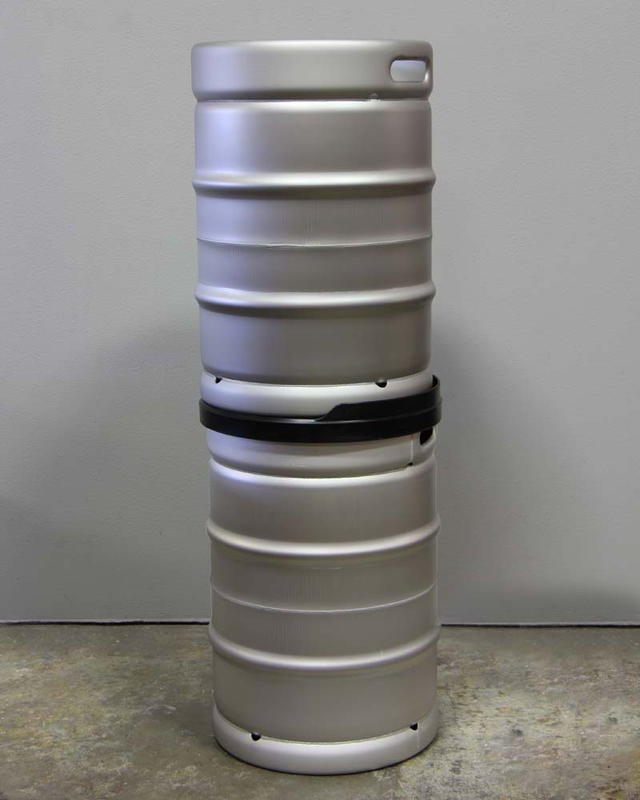 Using good-quality keg stackers, keg spacers and keg dollies is a smart investment in your business. 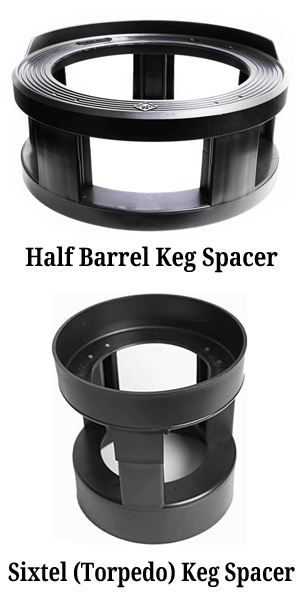 There are two size Keg Spacers. One to stack standard keg diameters (1/2 Barrels = 15.5 gallons) and Pony kegs (1/4 keg with same diameter as 1/2 barrel = 7-3/4 gallons) and also Keg Spacers to stack Sixtel or Torpedo keg diameters (1/6 keg = 5.16 gallons). Please choose "UPS Ground USA" for the shipping method during the checkout process. Unfortunately, due to the excessive cost, we do not ship outside of the 48 Contiguous United States and expedited shipping within the US is not available for this item. ** FREE Bottled Beer Inventory Software is emailed with every purchase! Make sure to type FREESHIP when prompted for a Coupon Code during checkout to remove the shipping charges.